We're excited for the start of our weekly Nature Play Group for infants, toddlers, and children ages 0-3 years. The Nature Play Group will meet Fridays from 9-11am beginning March 1, 2019. Juniper Hill School founder and director, Anne Stires will lead the weekly Friday Nature Play Group that will foster curiosity, play, and learning in a beautiful and enriching outdoor setting. As part of the group your young child will experience the many benefits of spending time in nature including opportunities to foster healthy sensory and motor development. Questions? 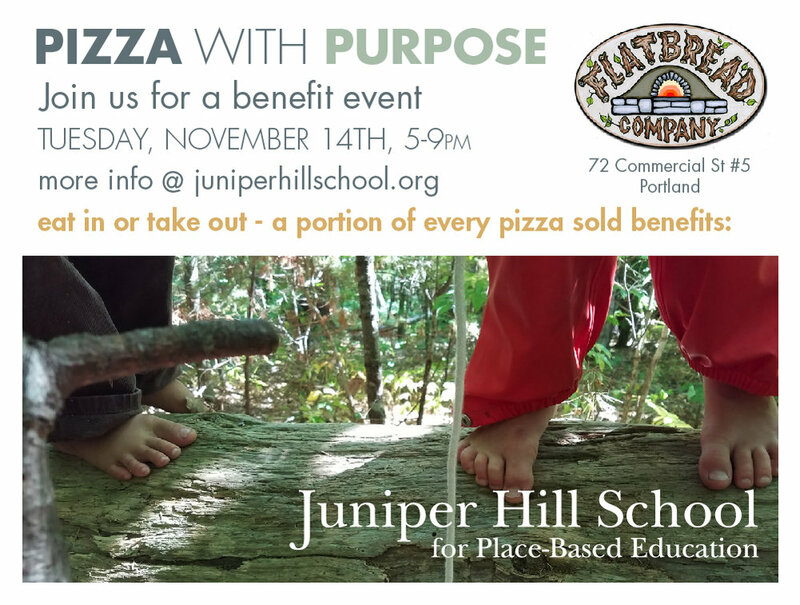 Please email us at info@juniperhillschool.org or call Juniper Hill School at 207-586-5711. Come Watch The Best Day Ever on Friday, August 10th, 2018 10:00am at Rising Tide Community Market, Damariscotta, Maine (upstairs in Community Kitchen space). Join Juniper Hill School founder and director, Anne Stires, to watch the short film The Best Day Ever, Forest Days in Vermont Kindergartens. A discussion of nature-based kindergarten curriculum will follow the film. Children welcome! Refreshments served. Visitors are welcome to tour the Juniper Hill School and learn more about outdoor-based education programs for children during our Open House events, Saturday, March 3rd & April 7th from 10am-noon. Teachers and families with children currently enrolled in the school will be present to answer questions and share their experiences. Juniper Hill School’s innovative education programs connect children to themselves, to each other, and to their communities through studying both natural and human environments. The outdoor environment and local community serve as the primary classrooms and are the basis for a curriculum that synthesizes the best of 20th century progressive education with a 21st century, place-based approach to learning. Utilizing this integrated curriculum that provides for immersion in the natural world, and social understanding through community studies, Juniper Hill School strives to nurture happy, healthy, and smart children who are empowered in their own learning and active in helping to make their community—and the world—a better place. In the upcoming school year, Juniper Hill School will serve children ages 3-10 years of age with PreK – Grade 4 programs. 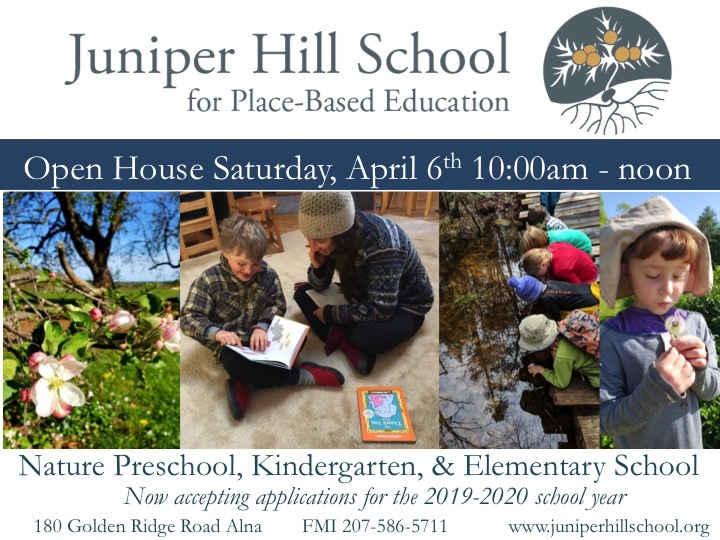 Visitors are welcome to tour the Juniper Hill School and learn more about outdoor-based education programs for children during our May Festival and Open House, Saturday, May 5th from 11am-1pm at our 180 Golden Ridge Road campus in Alna. 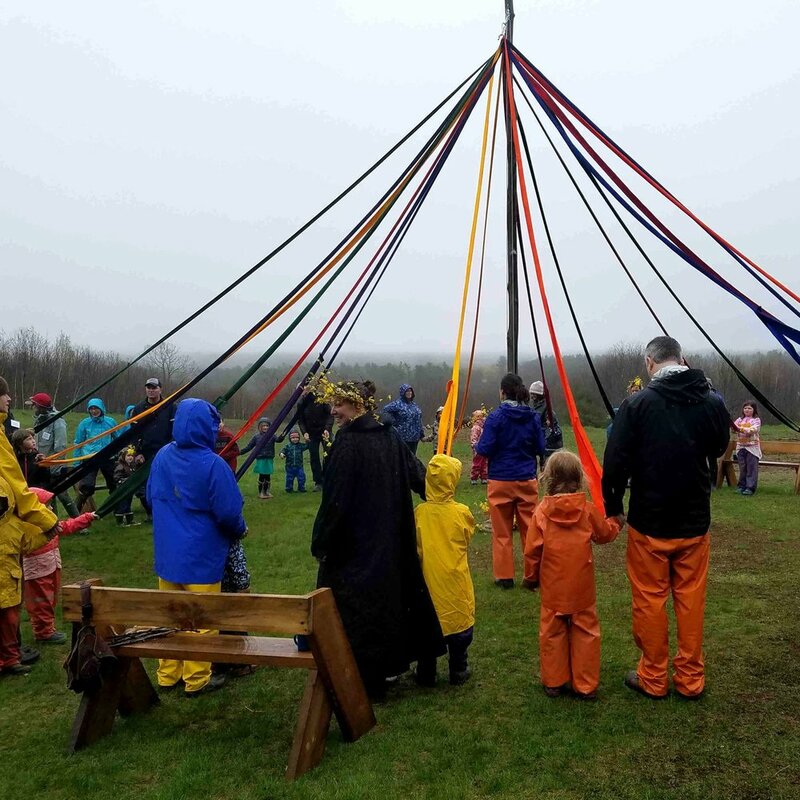 Please join us for traditional May Pole dances, music, and crafts for children. We welcome you to bring a lunch and picnic under the apple trees and meet teachers and families with children currently enrolled in the school.